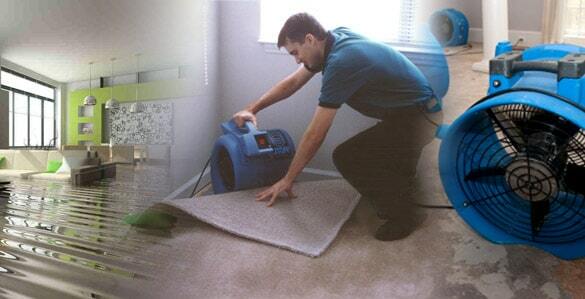 Ottawa Extreme Mold and Water Damage of Ottawa is a leading service provider for the Water Damage Restoration Industry in the Region. Whether it’s water damage, Sewage Backup or Full Structural Drying with Preventative Mold Treatments, you can rest assured that you have the right people one the job. With years of experience, our water damage restoration teams have dealt with all types of water and moisture damage situations. Ottawa Extreme Clean works with all major insurance companies in Canada. We can liaison and handle communications with your insurance carrier and invoice your insurance directly, this way you don’t have to stress yourself with the process. With the growing population in Ottawa, we are growing rapidly. We provide to all surrounding cities around Ottawa. Our Goal to ensure a happy customer and a safe environment for their families. CONTACT US 24 HOURS A DAY, 7 DAYS A WEEK FOR WATER DAMAGE RESTORATION, SEWER BACK-UP, WATER DAMAGE REPAIR, WATER EXTRACTION, FLOOD DAMAGE, AND WATER REMOVAL EMERGENCIES. Unexpected flooding and water damage situations can happen when you least expect it, Ottawa Extreme knows that when that happens you have enough to worry about. Let us help you out by making the process as smooth as possible by doing what we do best – restoring your home back to where it was before the flooding. Our restoration team are specialists in assessment and restoration of flood and water damage in Ottawa. This would include sewer backups, water extraction, burst pipes and rebuild services. It’s essential to call us ASAP when the water damage emergency is detected to mitigate the damage. This would include emergency situations and plumbing repairs as well. Trust Ottawa’s Mold and Water Damage Experts when you have a sewage backup. Sewer backups can create a very severe health hazard in your home of business. The potential for bacterial growth and pathogens goes up exponentially the longer the process is allowed to persist. This can lead to serious illness for you and family, which is why it must be attended to ASAP once it is discovered. Odours will also occur and can contaminate your home. It would be prudent to shut off your furnace and HVAC system in order not to spread the bacteria throughout the home once you know there is a problem. The first step is to call us, and we will have help on the way.. RIGHT AWAY! Secondary damage will increase the longer the initial damage has not be remediated. This will increase the cost of the over all restoration. Secondary damage can include structural damage, odours, and mold. Ottawa Extreme Clean can help you, which is why reaction time is so crucial. The faster you call, the faster we can prevent primary and secondary damage to your property. Balancing expertise and science, our goal is to complete an instant assessment on the damage that has occurred and present you with a detailed plan of action. We use thermal imaging on our sites to determine what is when, and how saturated it is and decide what the next step in the remediation is. Our dedicated team deals with all insurance companies and will offer help and guidance through the process. In most cases the source of water damage is obvious, however on occasion the source is uncertain. Our first goal is to identify the cause or source of the water damage and take the necessary actions to stop and repair it. Secondly, we gather and pump all excess water and/or sewage and salvage any contents and materials. Next, we will remove all unsalvageable contents, then test for contamination (especially important in sewage damage) and begin the sanitation process. Our company uses the latest in drying and extraction equipment in the industry today. Our education is always updated, and we use cutting edge techniques to ensure the best results for our customers. High powered dehumidifiers are used in conjunction with high velocity air movers, axial movers, and air scrubbers throughout the damaged and affected area. Once the affected areas are deemed dry, and all damaged and contaminated materials are removed, the rebuilding process will begin. Our focus is to ensure that mould will not occur due to the water damage. Our goal is to restore your water damaged property to pre-loss or better condition so that you the client is happy and satisfied with the end result. CALL NOW FOR YOUR FREE WATER DAMAGE REPAIR INSPECTION!